To partake, guests are invited to stop by any of the Kidcot Fun Stop locations. It doesn't matter which one you start with, though, if you are attempting to make your way completely around to each country in one day, it makes sense to start in either Mexico or Canada. At each station, guests have the opportunity to choose (for free) to color either a Duffy the Disney Bear or a Perry the Platypus cut out that's attached to a stick. The stations all have markers and I've seen some extremely creatively designed cut outs. Once you've created your masterpiece, then, the fun begins. 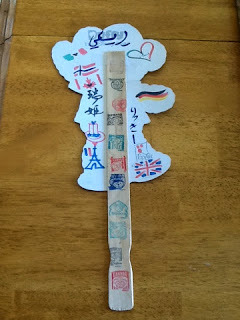 Each country has at least one Cast Member, who is from that particular country, stationed to answer questions about their country, as well as to write a message on the back of your cut out. 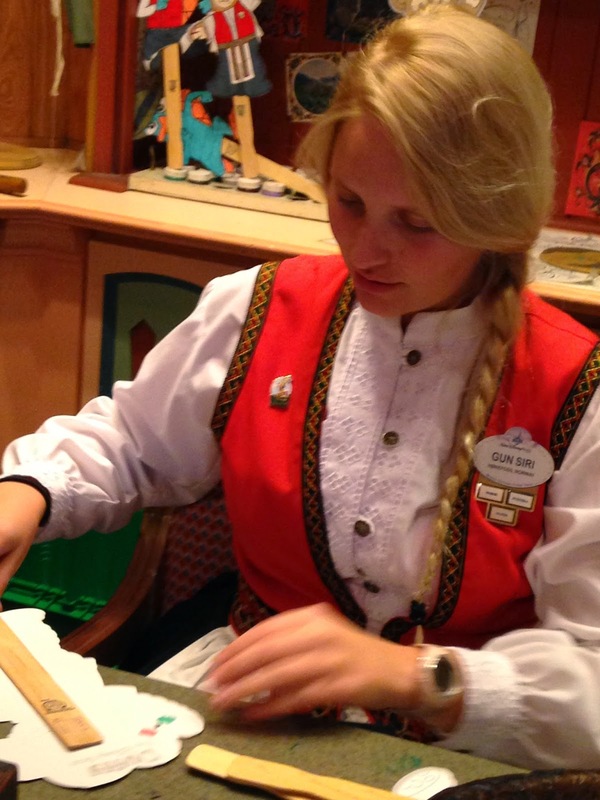 You are encouraged to interact with the Cast Member as much as you would like, so if you are there to learn, make sure you have some good questions in mind. On my last trip, I decided to take the journey around all the countries as a way to explore each pavilion a little closer--more in depth. I felt as though too often, I was guilty of just skimming the surface and walking right by. By participating in the Kidcot Fun Stops, it forced me to take my time in each pavilion and explore what they had to offer, often finding areas that I either hadn't been in a very long time or discovering new bits of the pavilion that I'd never seen before. Yes, even as an adult, I was fascinated by this activity! I started in Mexico, where I picked a Duffy to take around with me. The Cast Members will either draw something representative of their country (usually a flag, but some of the countries were a bit more creative with their decorations) or would write my name in their native language, and they also stamped the stick of my Duffy indicating each country. As I made my way around, I was having a fantastic time and was excited to see what each new Cast Member would have in store for me. By the time I had collected my last country's stamp and drawing, I was sad to see it was all over. The best part was that the Kidcot stations were not always in the most obvious locations, so you did sometimes have to search to find them, but that was part of the fun. I thought of it as my own personal scavenger hunt. 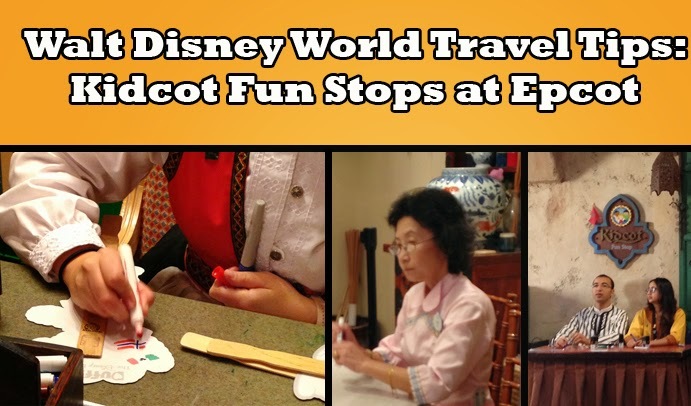 I highly suggest that on your next trip, you partake in the Epcot Kidcot Stops, no matter what age. I personally can't wait to attempt to do it again on a subsequent trip down to Walt Disney World! Have you ever taken part in the Kidcot Fun Stops with your family? Which is your favorite country to stop in? If you haven't...why? Let me know in the comments or on Facebook.